Dr. Diana Fatayerji is a Clinical Nutritionist specializing in natural treatment programs for a wide range of health issues. In her Clinical Nutrition Practice she successfully treats patients with a wide range of problems, including hormone imbalances, allergies, digestive disturbances, fatigue and many other health problems. She uses scientifically based laboratory testing in conjunction with BioEnergy techniques to quickly identify the underlying nutritional imbalances and dietary deficiencies. These are then treated by nutritional adjustments to correct the underlying imbalance and allow the body to heal itself. Dr Diana educates her clients about the impact of diet, nutrition and lifestyle on their health. She treats each person based on his/her specific health concerns, unique personality and lifestyle. Dr. Diana received her Bachelors Degree in Biomedical Science from the University of Bradford, England. She studied at the Department of Human Metabolism and Clinical Biochemistry at the University of Sheffield, England, where she was awarded both her Masters in Nutrition and Doctorate in Clinical Biochemistry. 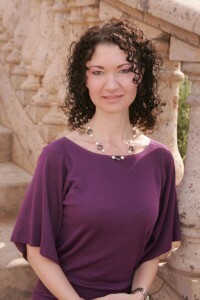 Dr Diana has a thriving nutrition practice in San Diego. She has been in private practice in California since 1999, during which she has treated numerous clients and helped them regain their health. Dr. Diana has radically changed my health. For the last 15 years I have suffered with chronic allergies. I was having allergy injections four or five times a week as well as taking antihistamines. I no longer need these and am now virtually allergy free. I would never go back to the way I used to live and eat. D.T.